Kamron Schrader, ROMM & Alex BELIEVE Feat Love Dimension, Skyvol, Frank Dueffel, Jonny Quigley and more. This show was 7th in the global psy-trance chart and 94th in the global uplifting trance chart. Hello guys and welcome to a new episode of The Trance Session Radio Show with the first Guest Mix edition and presenting The Trance Session 050 Celebrations Line Up, Lionel Mato from Buenos Aires, Argentina!!!!. Next Stop Emi Morales from Comodoro Rivadavia, Chubut, Argentina! In this episode we dance to Kamron Schrader, Jonny Quigley, Pulsar & Liquid Sound, JP Bates, ReOrder & Standerwick pres. Skypatrol, Christopher Lawrence vs. Fergie & Sadrian, Orla Feeney, Curtis Young and more!!!!! 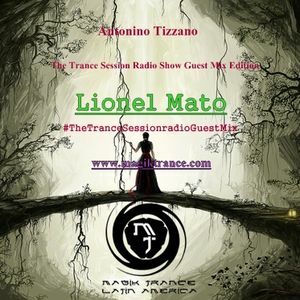 Use the #TheTranceSessionradioGuestMix and let us know how are you enjoing this guest mix with Lionel Mato !! !